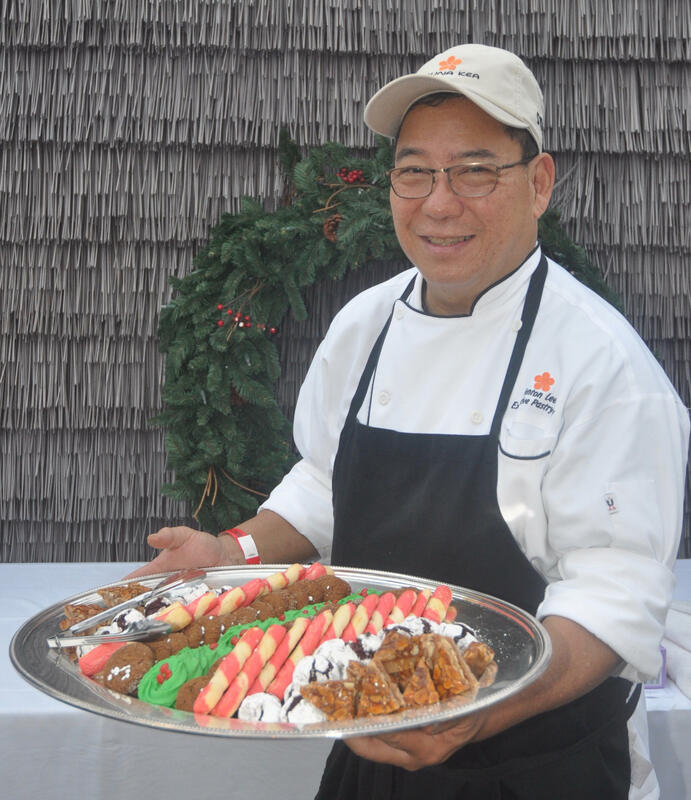 Kick off the holiday season and celebrate the 30th year of the Big Isle’s Christmas with the Chefs, on Saturday, Dec.1. The annual gala is on the seaside grounds of Courtyard King Kamehameha’s Kona Beach Hotel from 5:30 to 8 p.m.
Members of the American Culinary Federation (ACF) Kona Kohala Chefs Association will delight attendees with plates of expertly prepared savory cuisine and delectable holiday treats—all accompanied by handcrafted ales, choice wines and 100% Kona coffee. 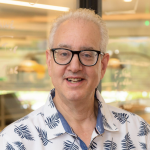 The Bill Noble Trio, with Jeannine Guillory-Kane on vocals, jazzes up the evening for dancing under the stars fronting historic Kamakahonu Bay. A silent auction will tempt would-be Santas with an array of holiday gift ideas while supporting local businesses. 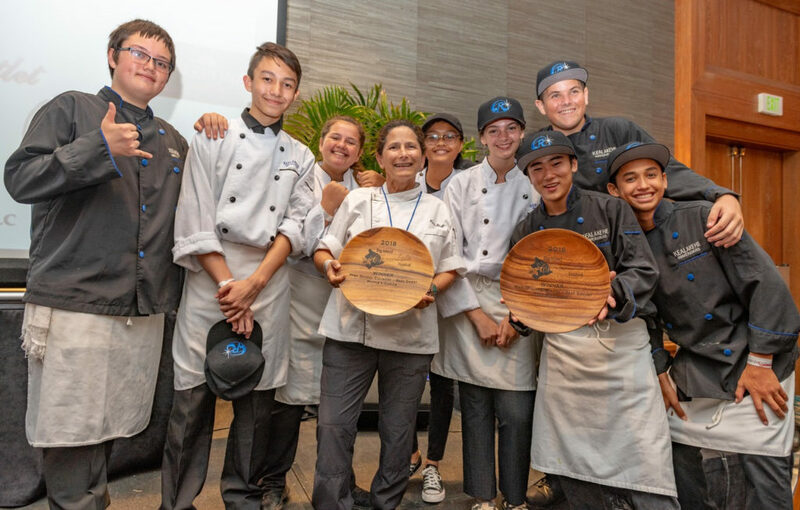 In its 30th year, the annual fundraiser benefits local culinary students attending Hawai‘i Community College—Palamanui and members of the Kona Kohala Chefs wanting to further their education. 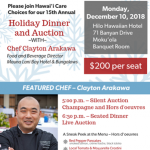 The silent auction is a benefit for the Palamanui culinary program through the ACF Kona Kohala Chefs and Jean Hull Endowment fund. Originating as Christmas at Hulihe‘e, and moving to various locations over the years, the event’s scholarship focus has continued and a total of $900,000 in funds have been awarded. Tickets are $90 and sold online. 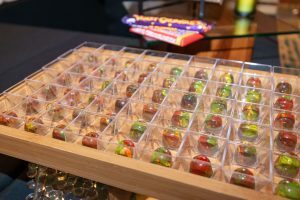 Tickets are available at Westside Wines, Kona Coffee & Tea, The Spoon Shop and Courtyard King Kamehameha’s Kona Beach Hotel. Tables of 10 are $1250—which includes reserved table seating, service and select bottles of wine—and can be purchased online. The host hotel is offering a special event room rate starting at $159. Phone (808) 329-2911 and ask for the “Christmas with the Chefs” rate. 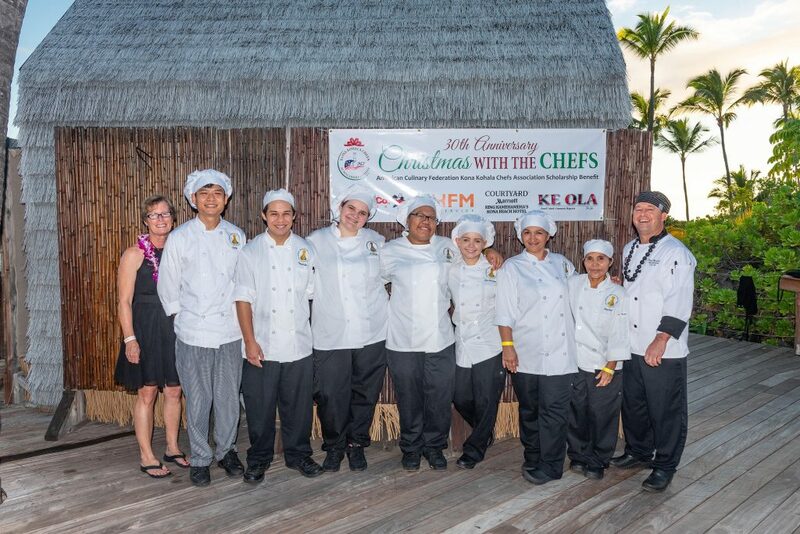 American Culinary Federation Kona Kohala Chefs Association: ACF is the largest, professional, non-profit organization for chefs and cooks in the nation. Founded in 1980, the Kona Kohala chapter is comprised of food service professionals, vendors, growers and culinary enthusiasts.